Adder is the only venomous snake of Czech Republic. Heavy bodied snake reaching lenght up to 80 cm. Males are smaller. Head is flattened. 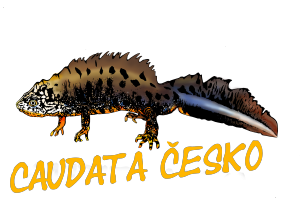 The only snake of Czechia which has vertical eye pupil. The iris is brownish or red. Adder has 3-5 mm long front venom teeth. The body color is grey or brown with „zig-zag“ line on the back. Thera are also melanic individuals, completely black or individuals of brownish or redish uniform color.